I had the pleasure of chatting with Omnitude’s CEO, Chris Painter, in an exclusive CryptoCurrencyNews.com (CCN) interview. 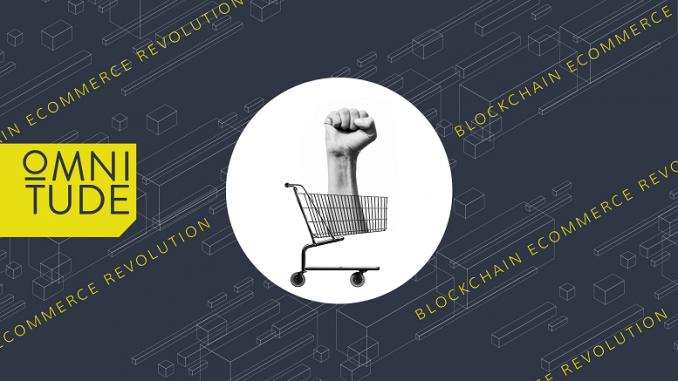 Omnitude is a blockchain smart platform that seeks to connect blockchain tech, ECommerce platforms and enterprise systems involved in building end-to-end supply chains. Omnitude can be integrated between various existing systems enables rapid deployment of blockchain technology without companies needing to replace costly current systems. You can view the company whitepaper here; along with their technical whitepaper here. It also has a video you can view here. Via your LinkedIn profile it says that you have 12 years experience in design, development, and e-commerce, can you elaborate on your experience a little more? I founded an eCommerce agency myself, starting out as just a one-man band, it soon grew to 20 staff and is becoming a leading enterprise eCommerce agency, I’ve since handed the reins on this over to another member of staff to allow me to focus solely on Omnitude. What sparked your interest initially with blockchain technology? How and when was Omnitude formed? The idea for Omnitude was had by me last April, since then it’s grown and matured into what you see now, the initial idea was had after a few glasses of wine and an evening of thinking! The ICO pre-sale just concluded, how did it go? What has the response been around the Omnitude community? The response has been excellent, especially considering as we did the majority of the raise during a dip. We sold out early on the presale, with the majority happening over a single weekend, we have a strong community and I really enjoy connecting with them and discussing the company. Once funding is established, how long do you anticipate it will be before your MVP is ready? We will be launching a POC before the main sale starts and we will begin releasing parts of Omnitude 6-9 months after the main sale closes. What is your big dream for Omnitude? To become the layer between blockchain technology and businesses, to enable businesses to rapidly adopt blockchain technology and empower people to create their own apps utilizing blockchain technology. Blockchain technology is here to stay and we are only just getting started on whats possible using this incredible new technology. Omnitude’s token sale begins on March 28th and will conclude April 25th. If you’d like to participate, you can register on this link. We’d like to thank Chris Painter for taking time out of his busy schedule to talk with us at CryptoCurrencyNews.com(CCN). Look for Omnitude as we kick off CryptoMadness tomorrow! CoiNow.Org is the most trusted source of news, insight, reviews, guides, and price analysis on bitcoin, ethereum, blockchain technology, cryptocurrencies, the darkweb, and other decentralized technologies.